Even though the entire day seems to have been dedicated to the Wii U, let's not forget about the last piece of hardware the Big N dropped on an unprepared world. Games will still be coming out for it, don't worry. Like Cave Story, for example, which has been announced as having a release date of October 4 on the Nintendo 3DS eShop for $9.99. 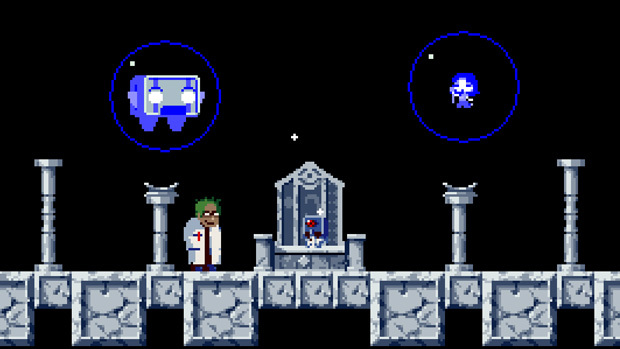 Not to be confused with Cave Story 3D (released late last year as a 3DS cartridge), this version of Cave Story is a different remake of the now classic indie PC game and has several new features in addition to 3D visuals, including a true widescreen presentation and a new batch of challenge modes. And, if you're still rocking that DSi, you can grab a version without the 3D effect from the DSiWare Shop on the same day for the same price. Even if I've already bought this game (several times), I've enjoyed it so much that I'm sure I'll throw another $10 its way to have another fancypants portable version.